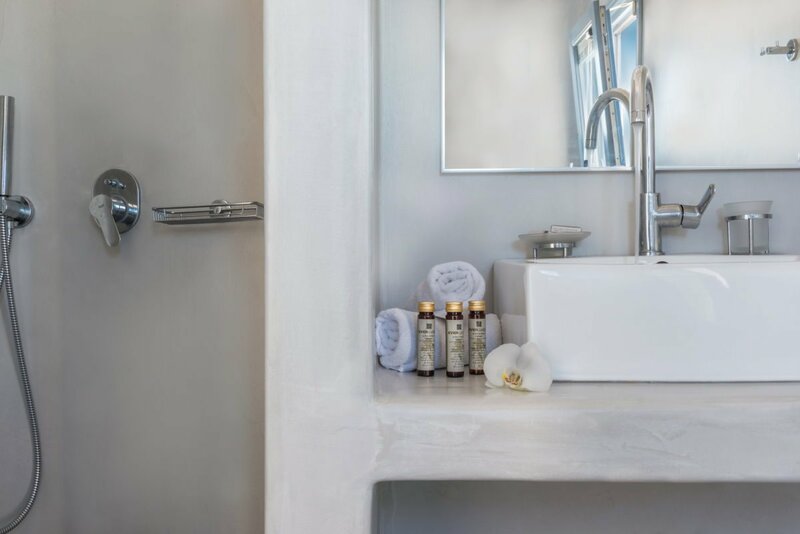 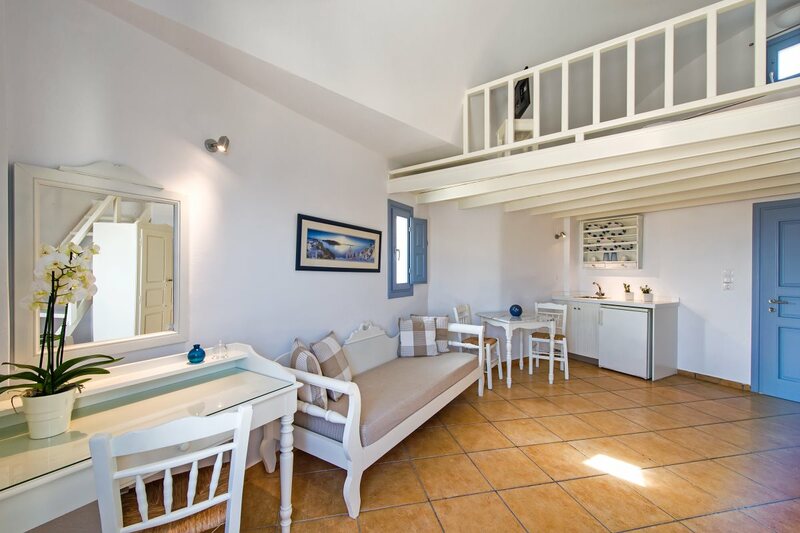 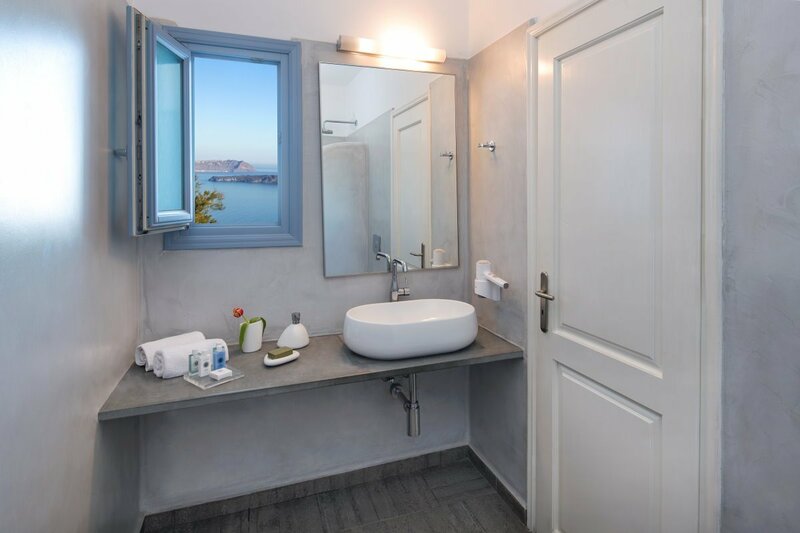 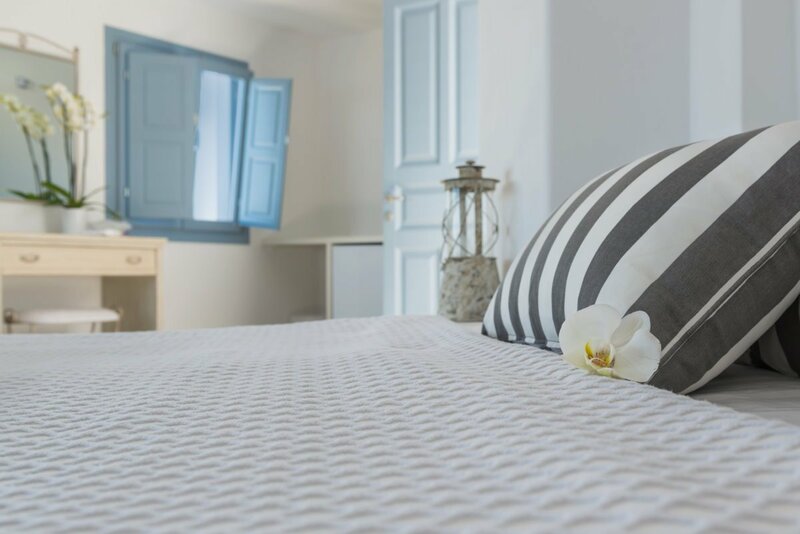 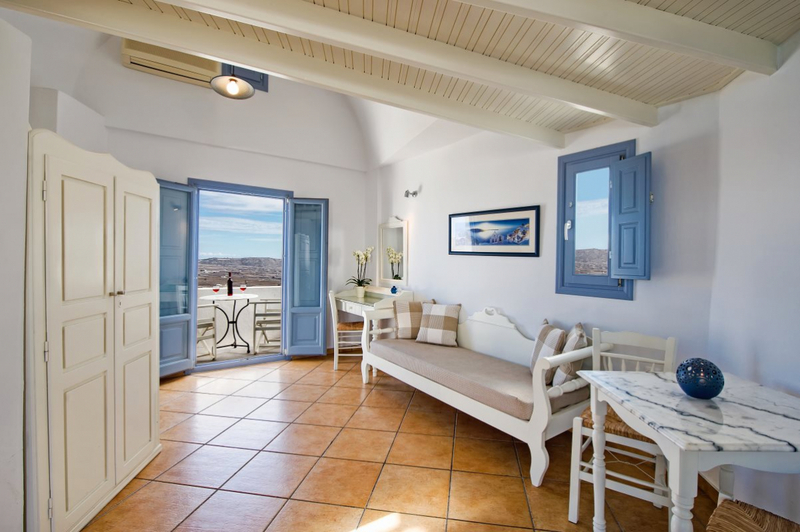 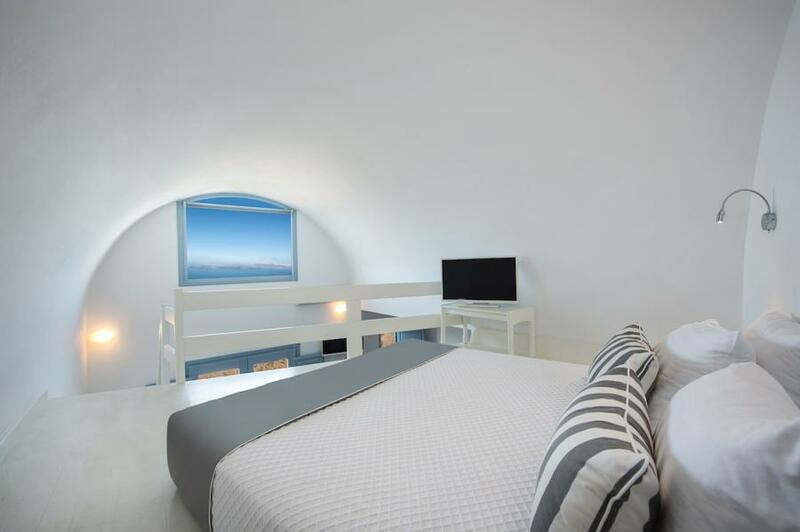 Hotel Apanemo in Santorini - Five hotel room types to let. 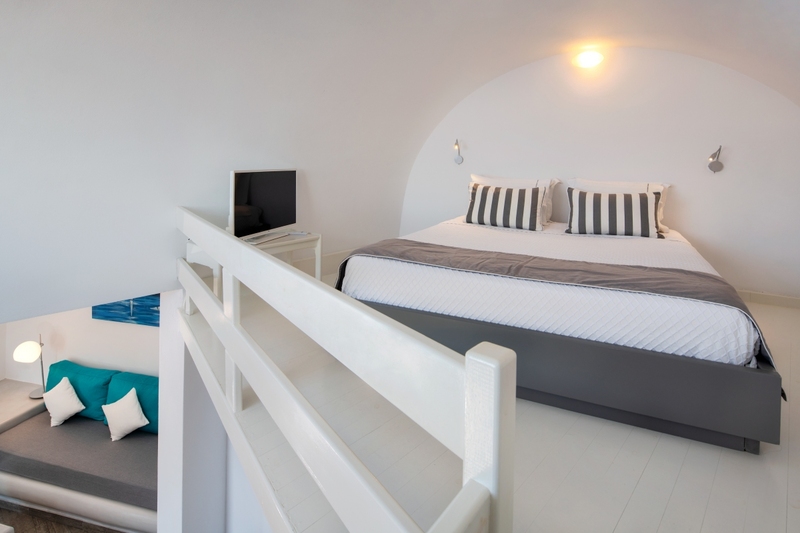 Apanemo has a range of modern accommodations with island decoration and views of the sea, the volcano and the caldera. 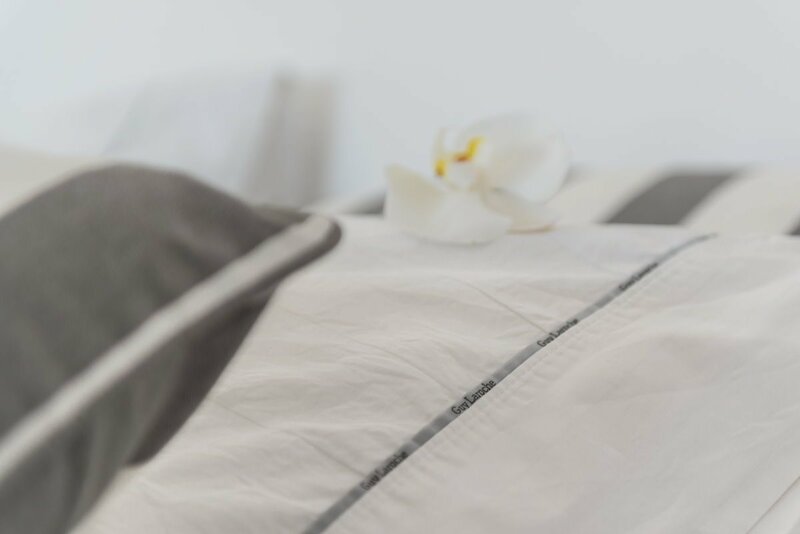 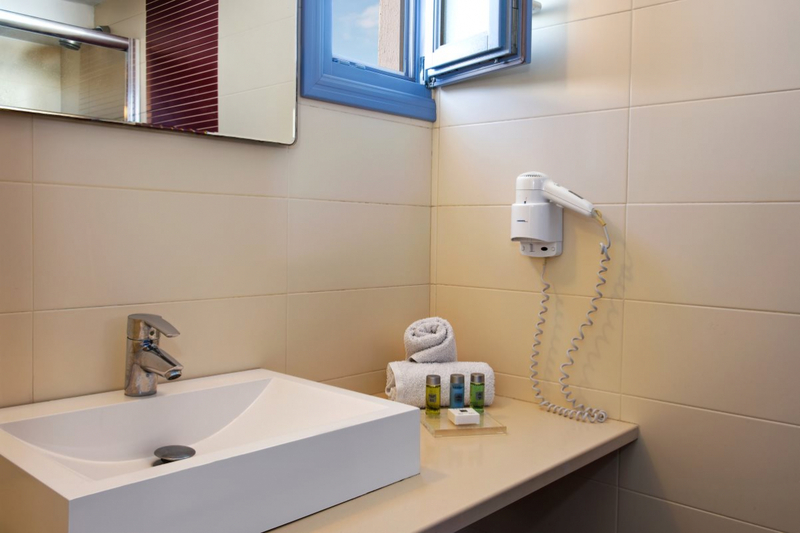 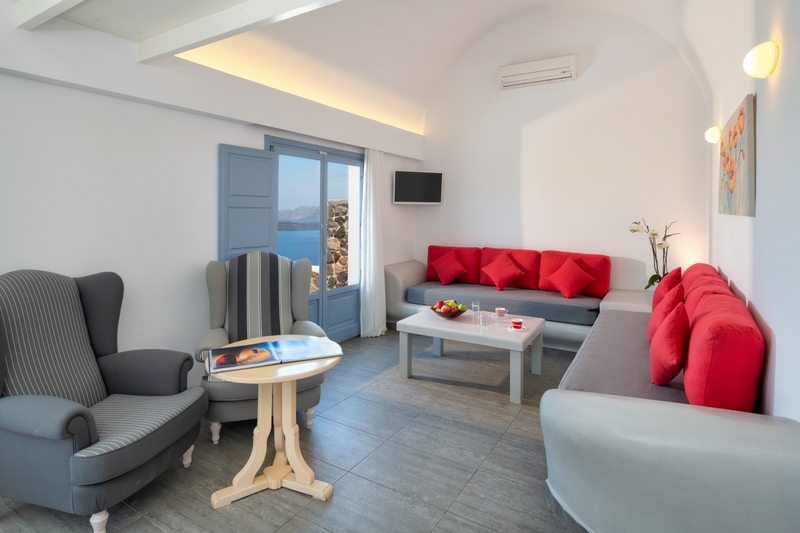 Discover the five hotel room types and check availability. 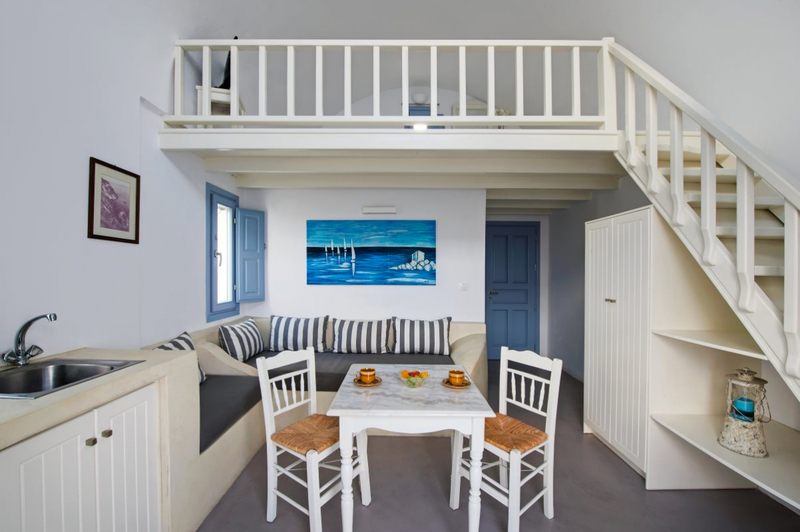 Apanemo's Double Room type, is a 15sq. 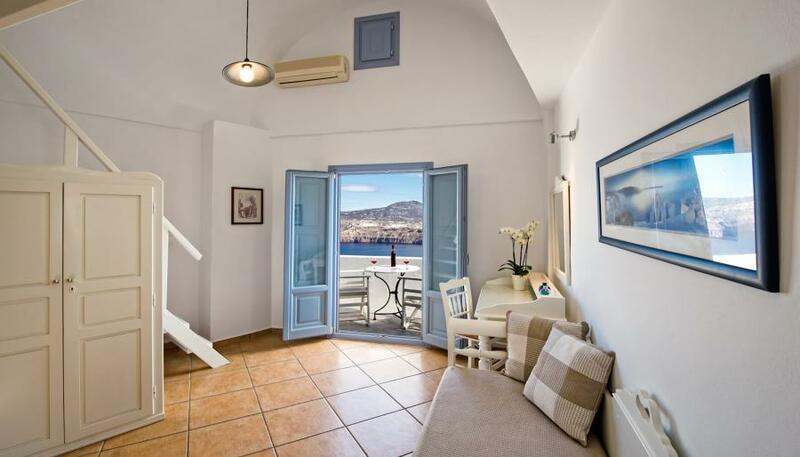 room for 2 person's with nice sea and garden view, but no volcano view. 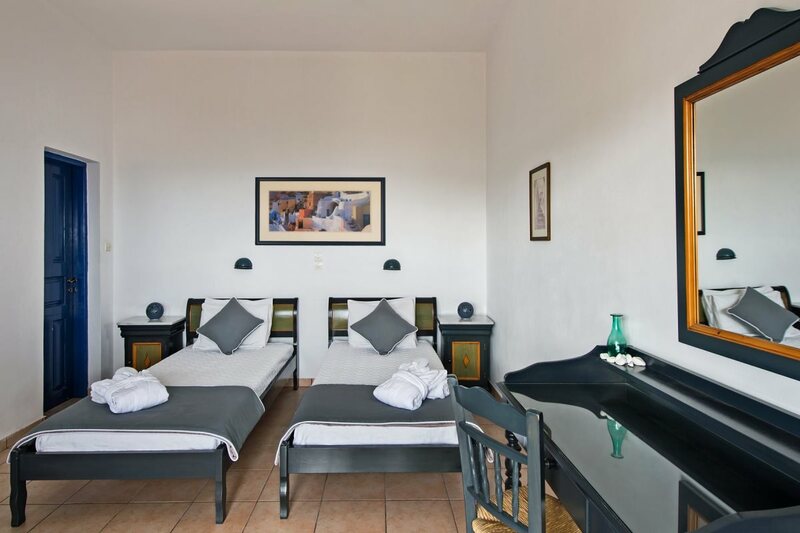 They all come with a Double bed. 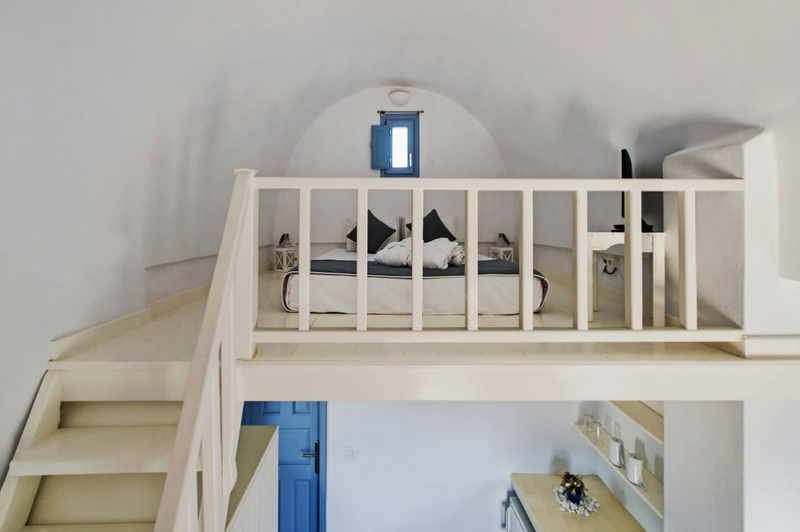 The luxurious 2-person 20sq.m. 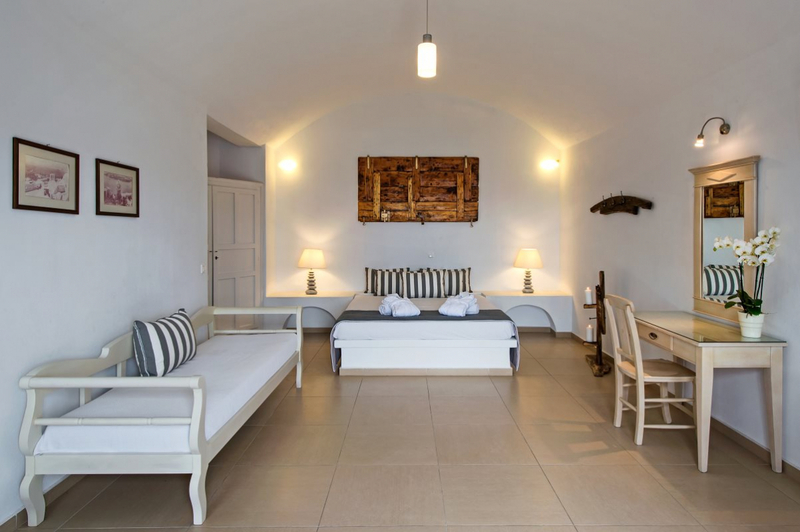 Executive Traditoinal Suite is traditionally decorated and features a wooden loft with a double bed. 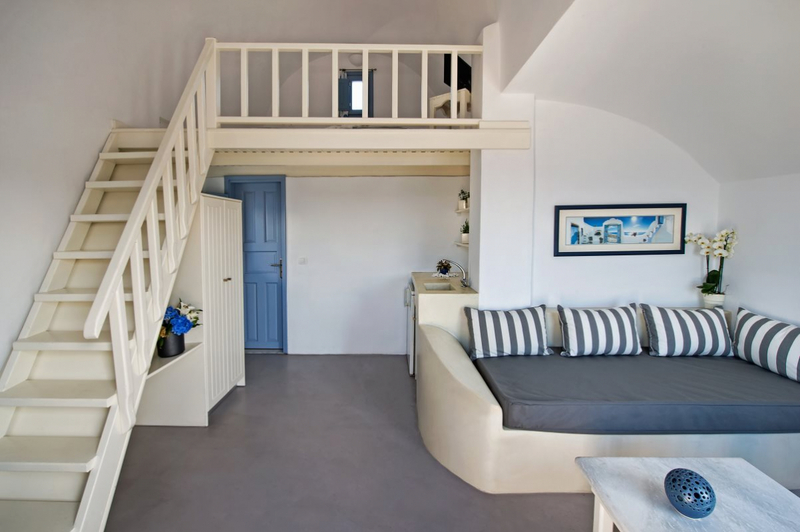 On the lower floor there is a small living room with a sofa, which is also a bed for a third person up to 10-15 years. 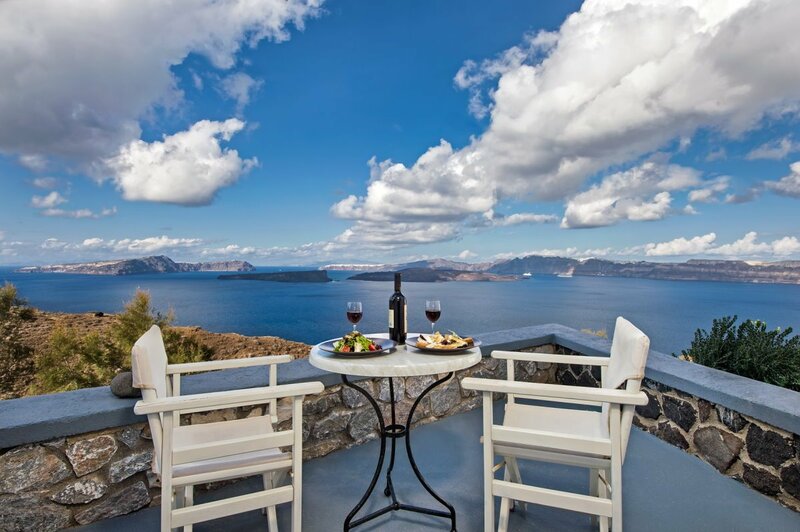 Has a private balcony with the famous Caldera and Vocano view! 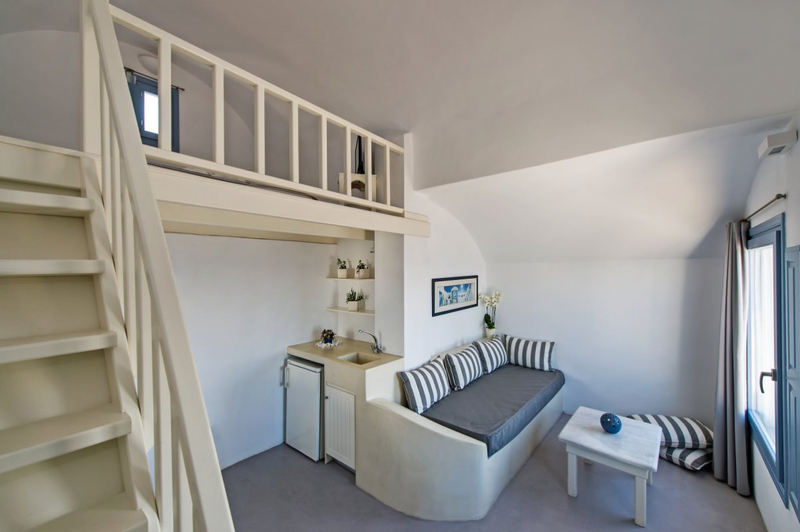 The luxurious 2-person 25sq. 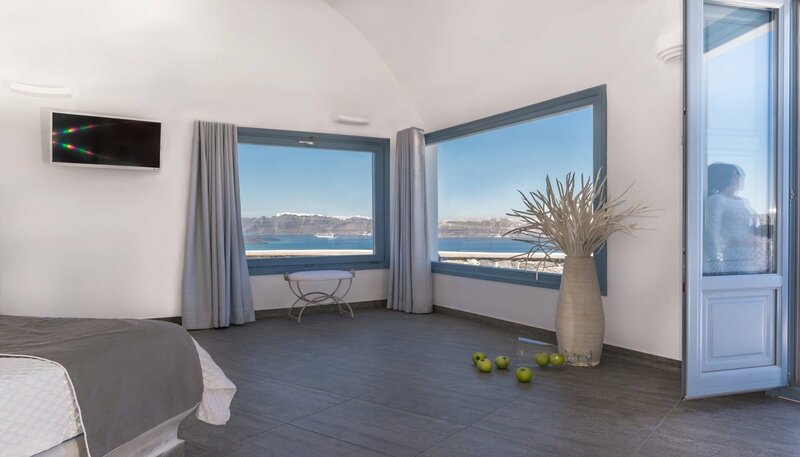 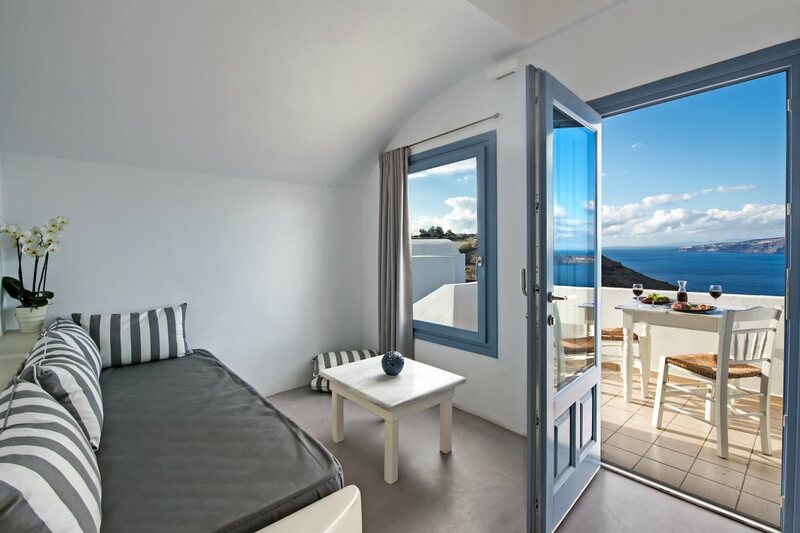 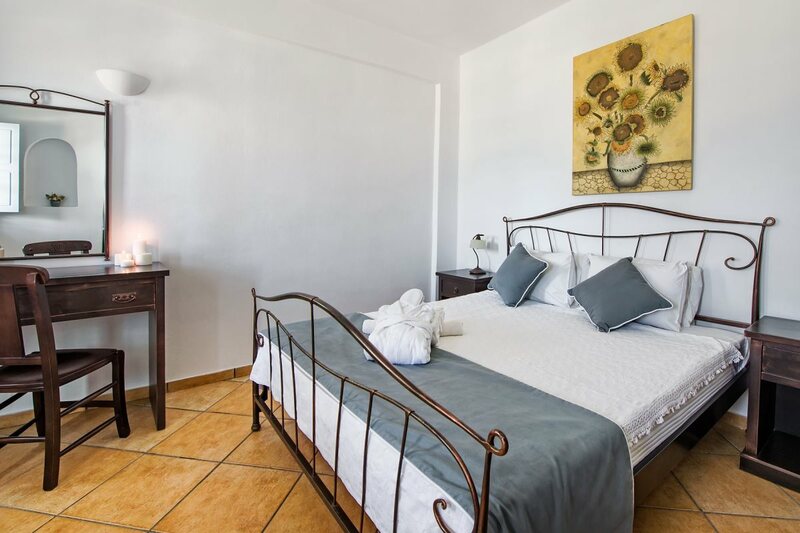 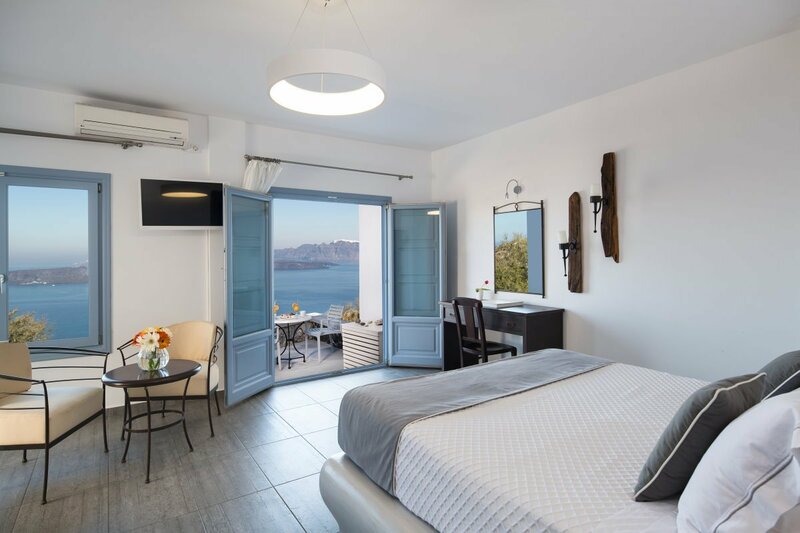 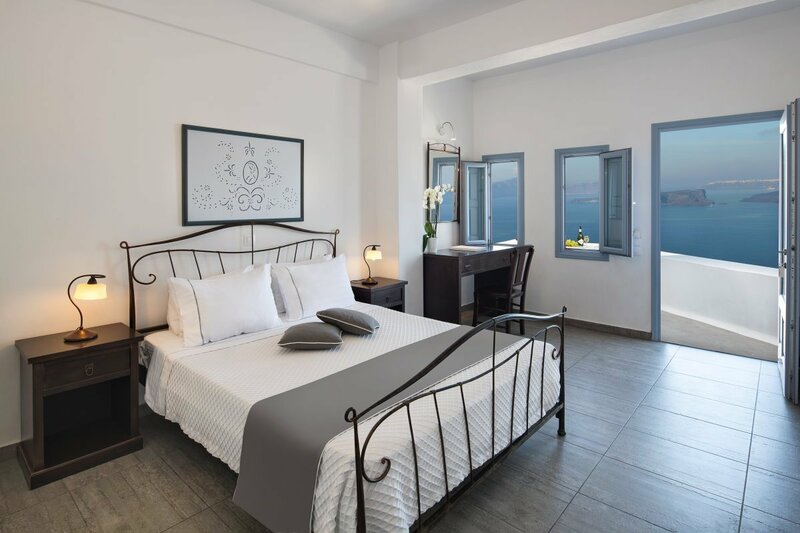 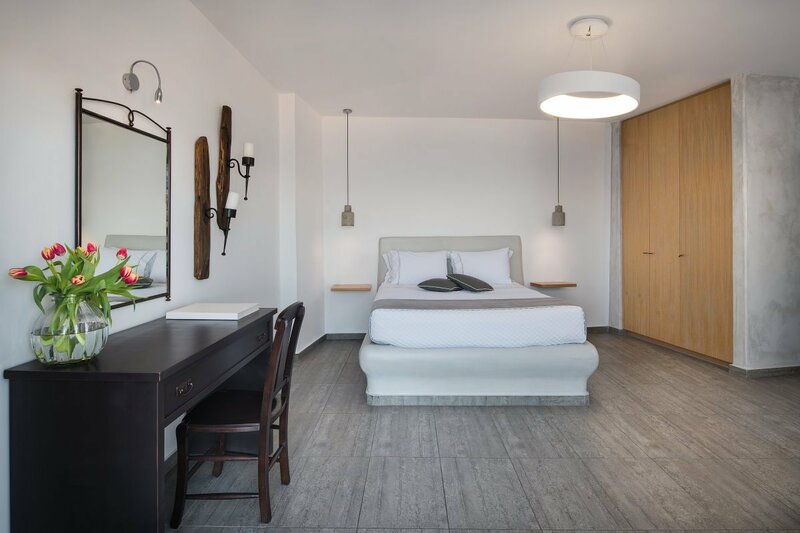 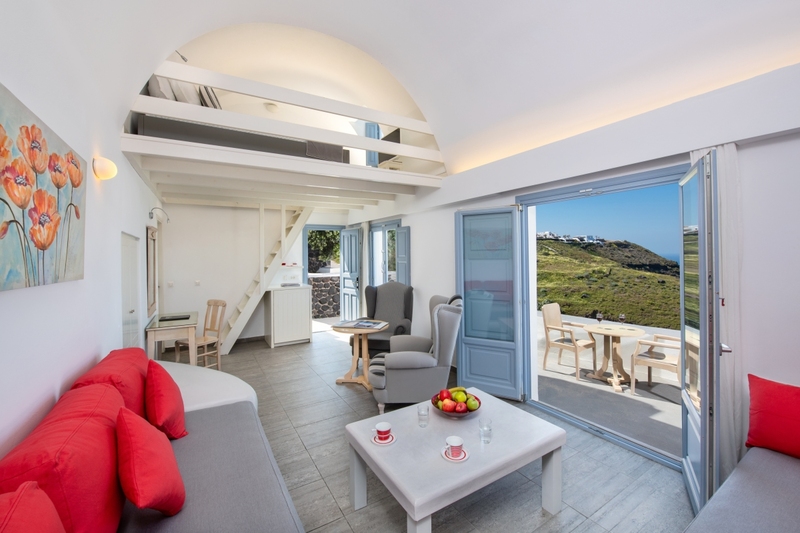 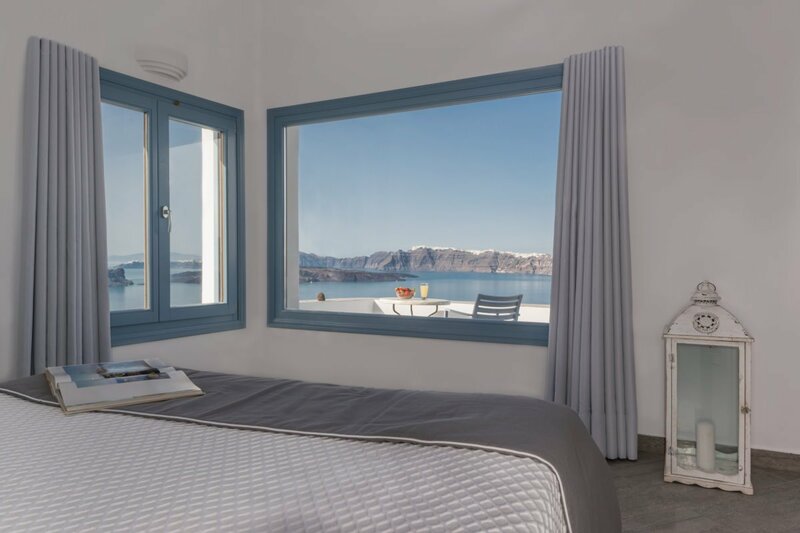 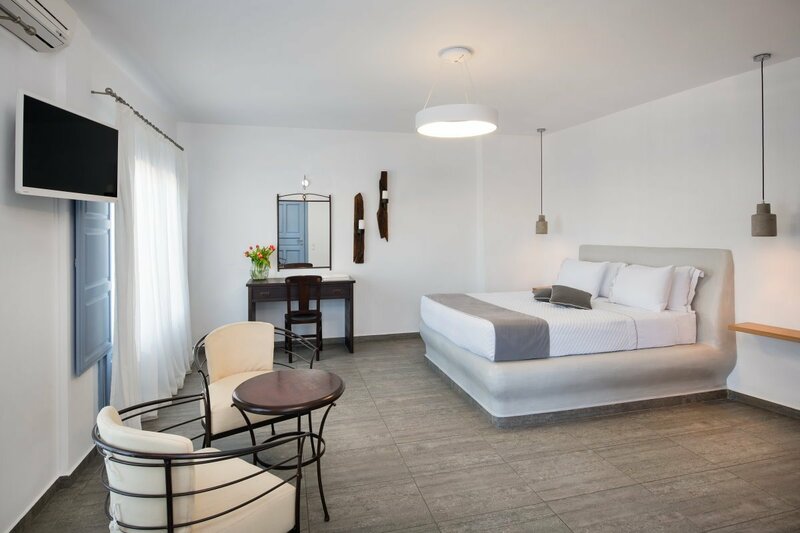 room is quite large and includes a king-size bed where you will have a view of the entire island, the caldera and the volcano of Santorini. 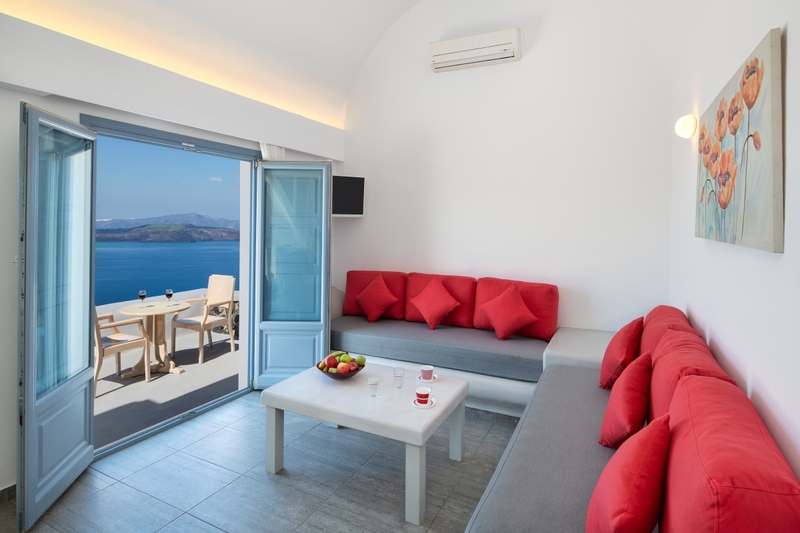 The suite is a 30sq. 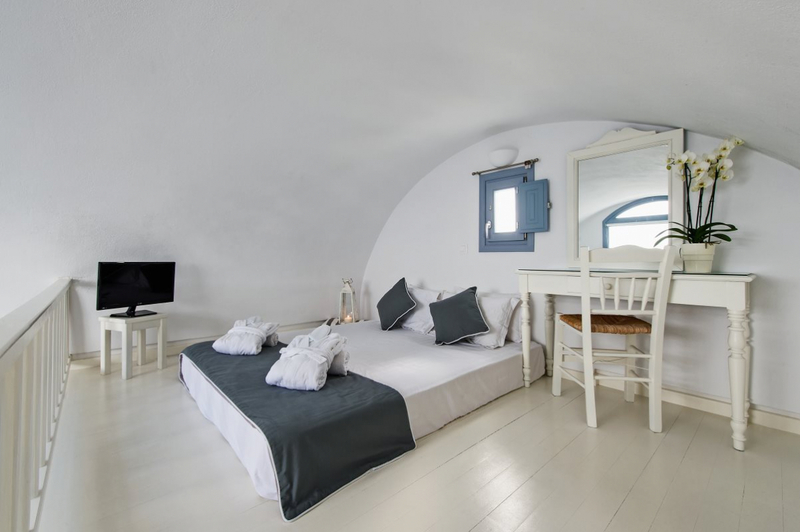 room traditionally decorated with a wooden attic where there is a double bed. 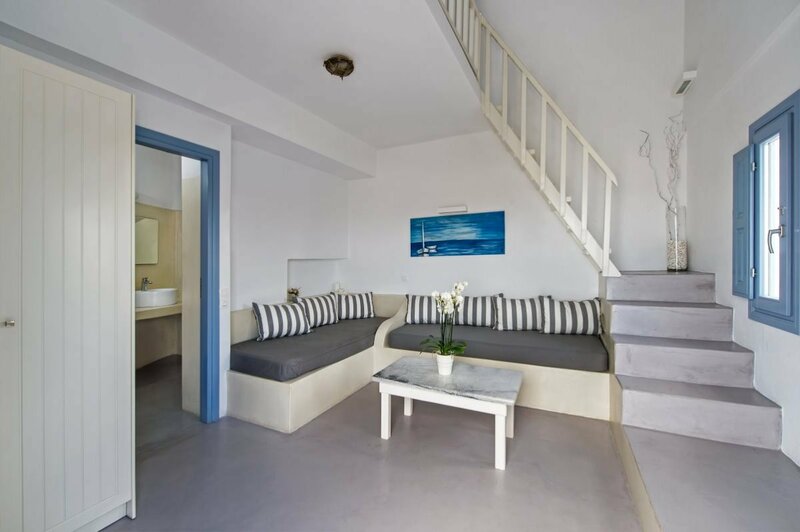 Downstairs there are two sofa beds. 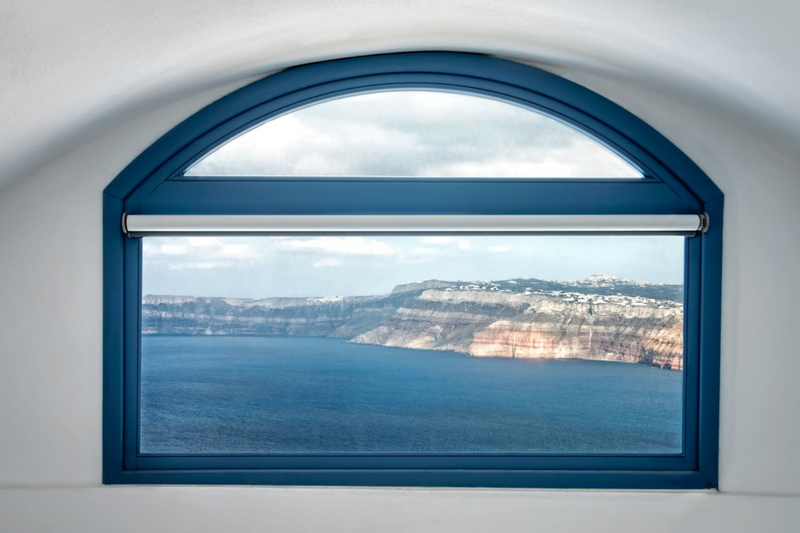 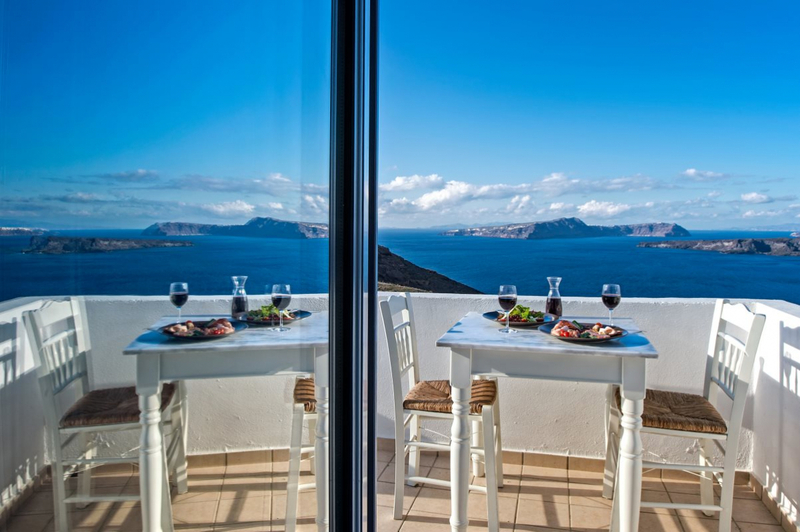 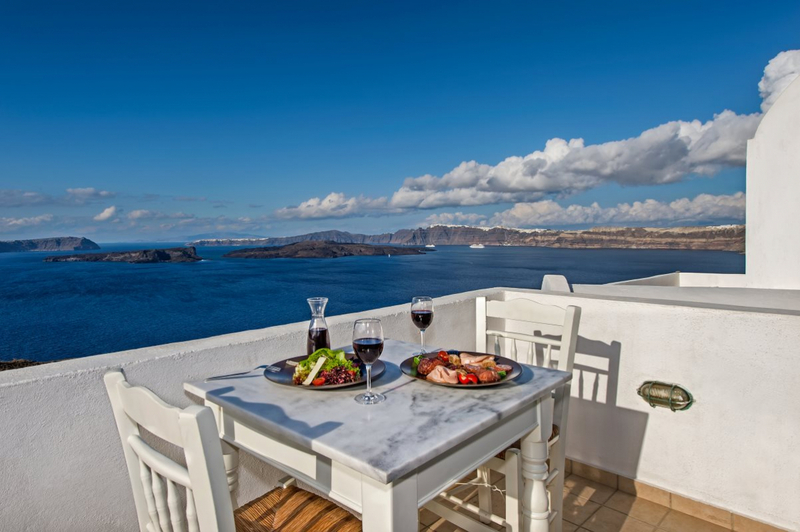 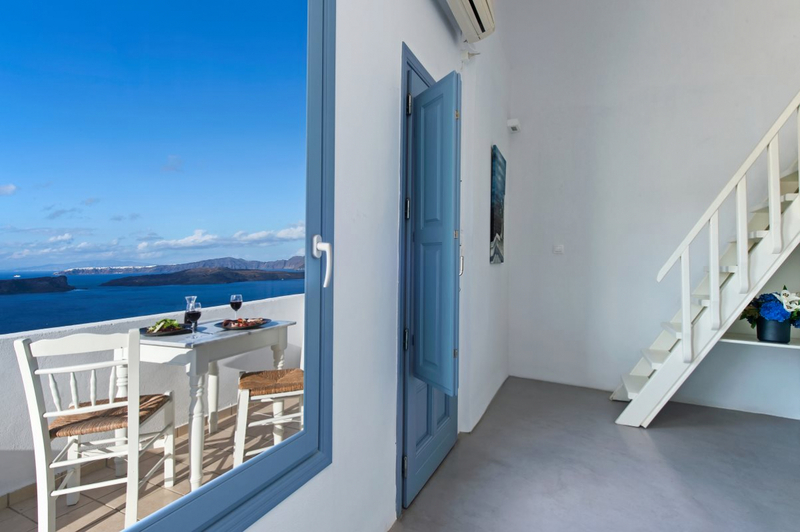 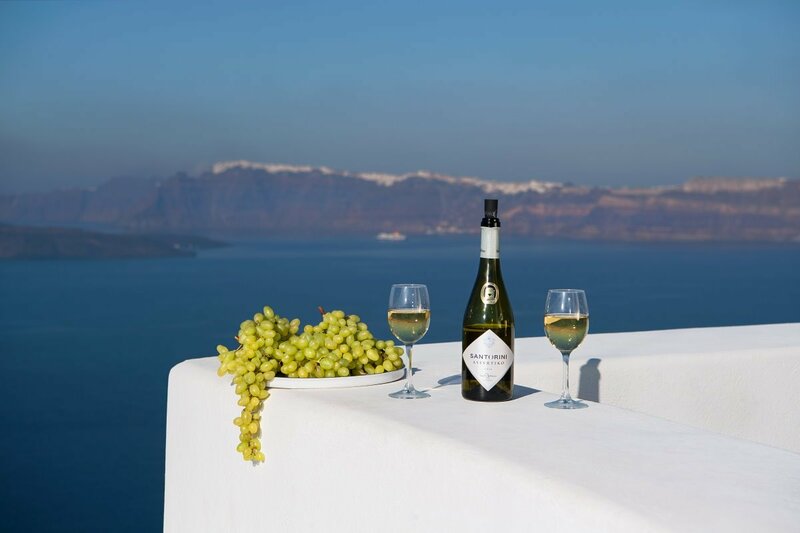 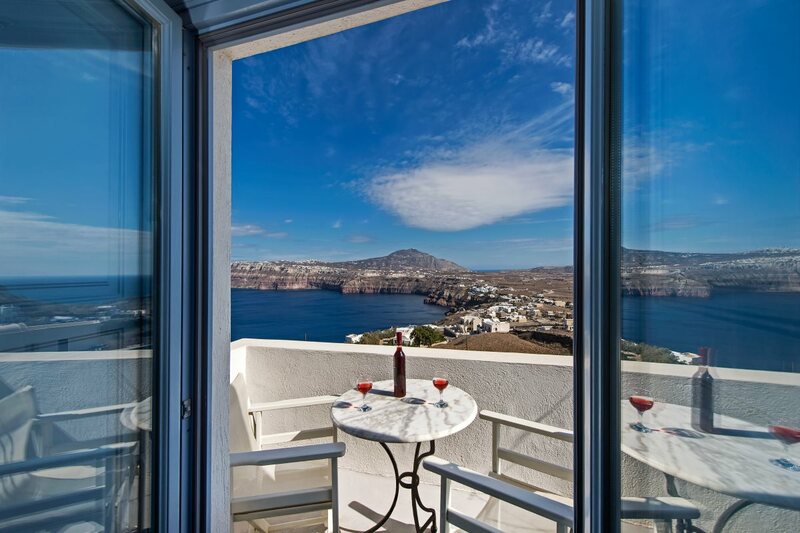 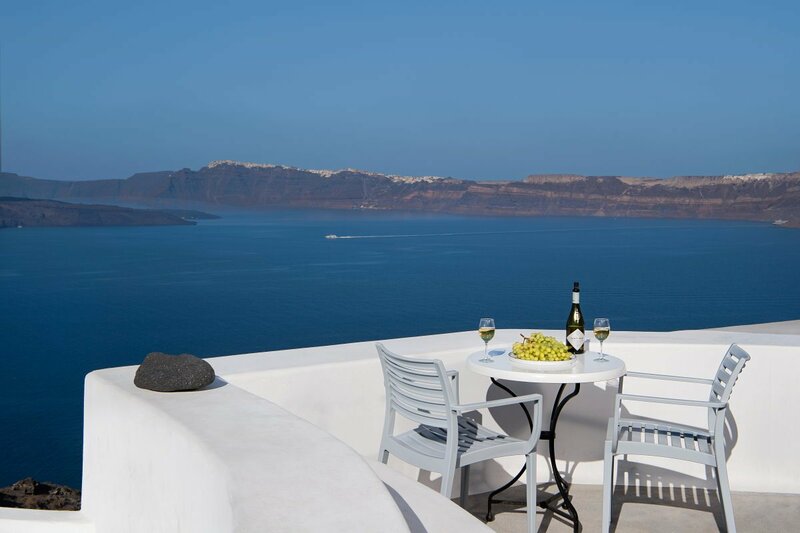 The private balcony overlooks the entire Caldera and the volcano of Santorini. 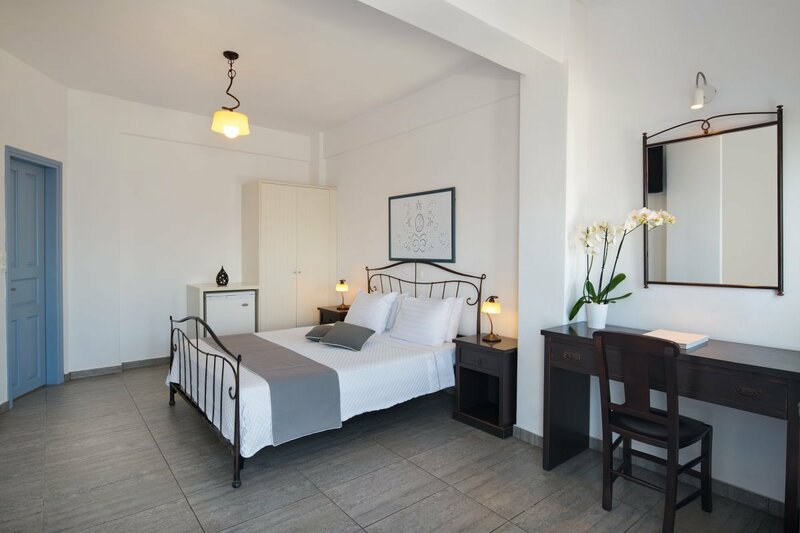 The room is near the street. 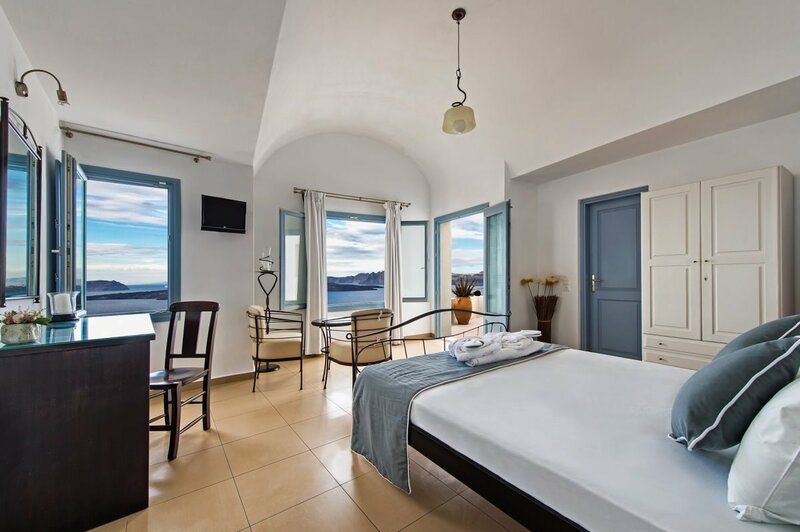 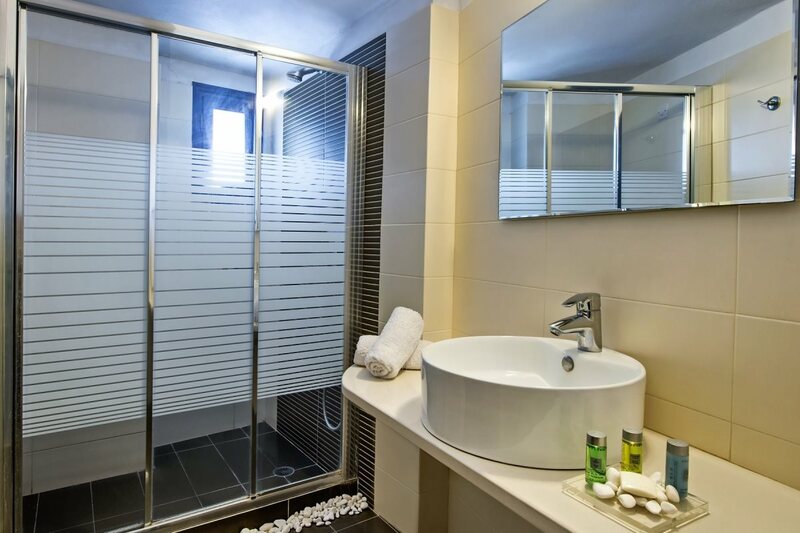 The traditional suite is a 20sq. 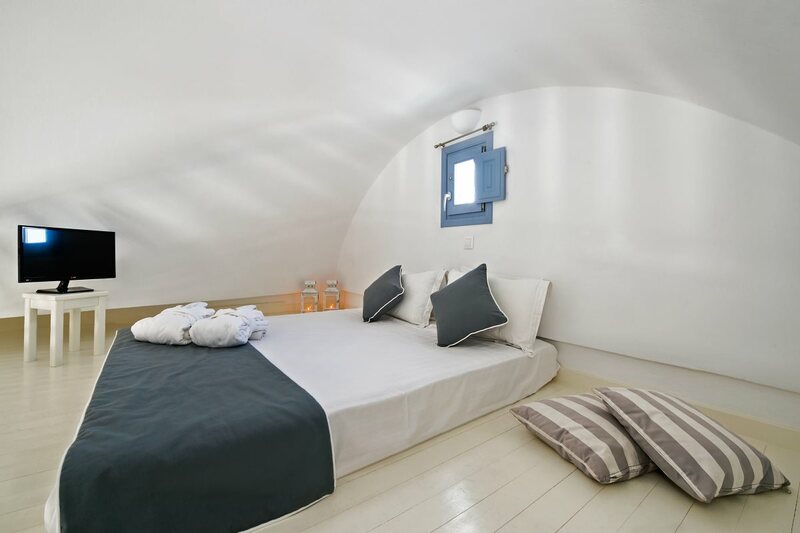 room for 2 people and is traditionally decorated. 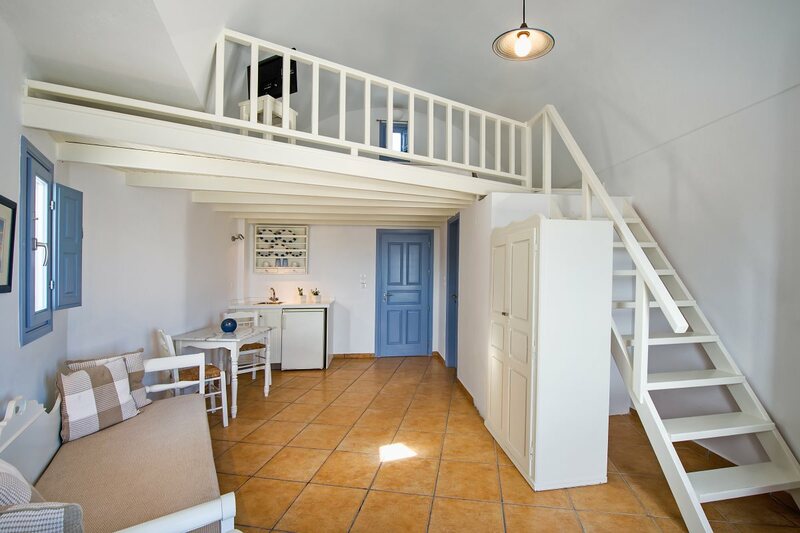 In the attic of the room is a double bed, while on the lower floor there is a small living room. The private balcony is facing the sea and a part of the Caldera. 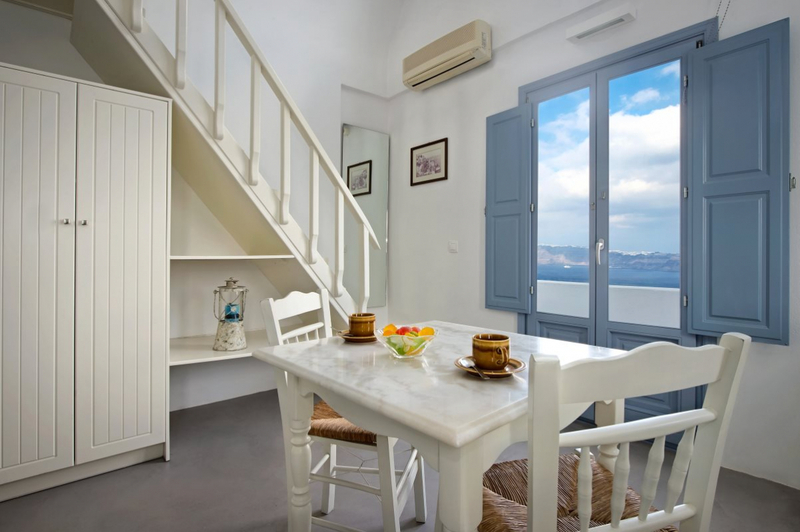 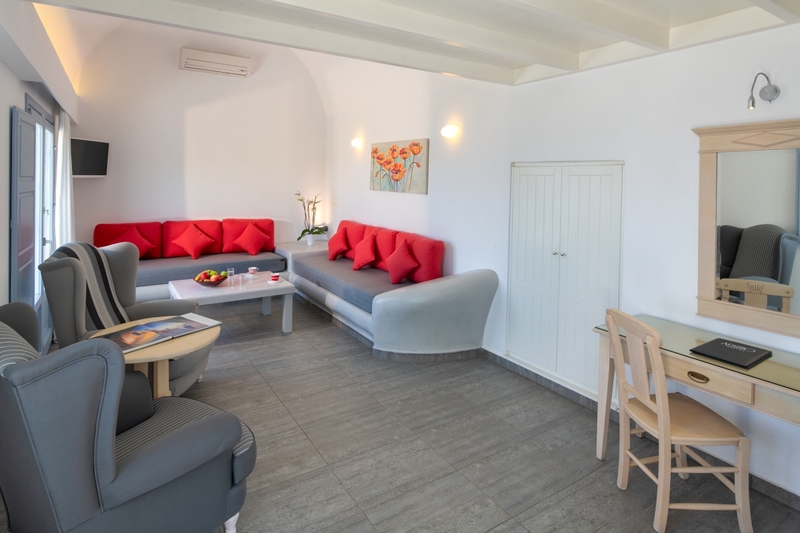 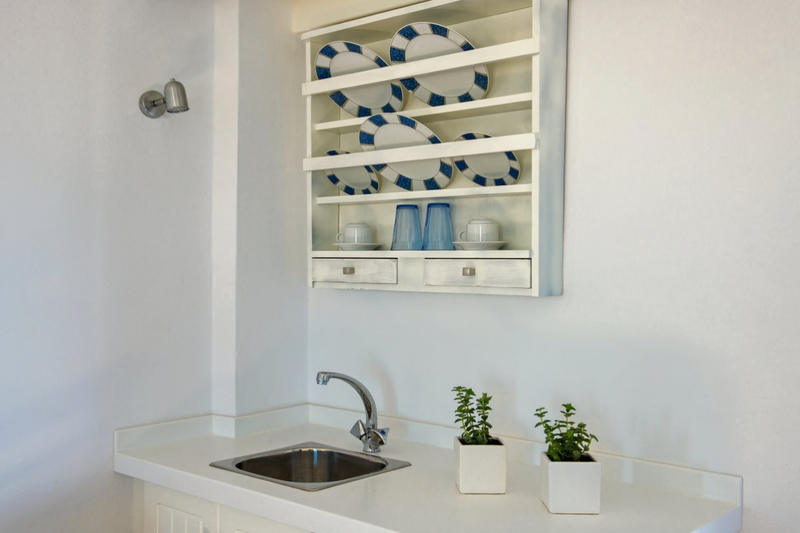 Facilities: private balcony with sea & caldera view, refrigerator, TV, air conditioning, daily room cleaning, hair dryer, wooden loft.